Now, back to novellas: Just a few days ago a listing appeared for The Collectors, Christopher L. Bennett's latest ebook novella, and his third Department of Temporal Investigations story. Initially listed for an October release, if you look now you might notice it's been pushed back to December. Fear not though ebook readers, for that has just made room for another of this year's new ebooks to find a publication slot. There are now listings up for Q are Cordially Uninvited..., a TNG novella set to show us the wedding of Jean-Luc Picard and Beverly Crusher, with a certain, undoubtedly uninvited, guest. This ebook now sits in the October slot. The listings also reveal the author, Rudy Josephs; a name that might seem familiar, as he has two previous stories under his belt, the most recent of which was the second nuTrek Starfleet Academy young adult novel, The Edge, which was published in 2010. It also appears that Scott Pearson's TOS novella, The More Things Change, has been brought forward a month, now due in June instead of July. 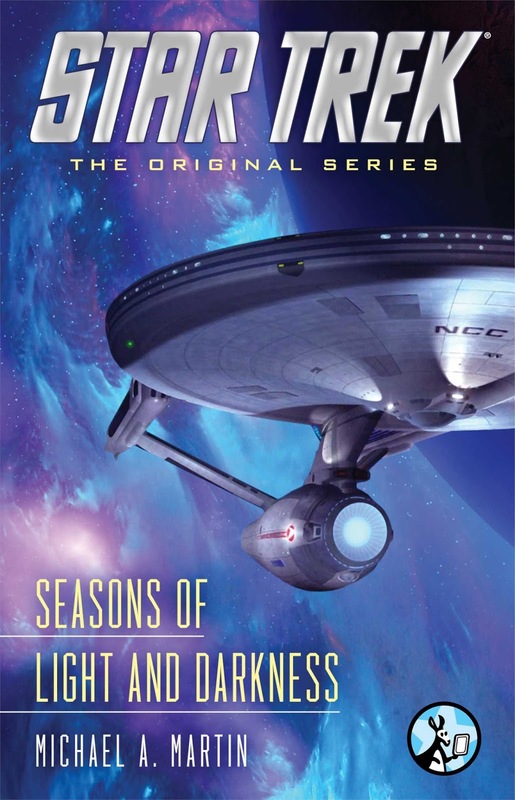 Less far off, this month sees the second Star Trek ebook of the year, Michael A. Martin's Seasons of Light and Darkness. Unless you've read it already, this one remains a bit of a mystery, as Simon and Schuster seem to have decided not to bother with a blurb this time. It has been previously established it will feature Doctor McCoy, early in the events of The Wrath of Khan. Simon and Schuster have now released an excerpt, which takes us back a little earlier in McCoy's timeline. You can read that, on their website. The first story set after The Fall, this takes us on a diplomatic adventure on the USS Titan, as well as featuring a cameo from the USS Aventine. The novella is a sequel to the TNG episode The Next Phase, and is also John Jackson Miller's first Star Trek outing - He will be returning next year with an Aventine focused novel. Order: Amazon.com, Amazon.co.uk, Amazon.ca, Amazon.de, Amazon.fr, Amazon.es, Amazon.it, Amazon.co.jp, iTunes. As mentioned above, this is a McCoy focused TOS story set within The Wrath of Khan, This will be Martin's first Star Trek story since the Titan novel Fallen Gods, in 2012. If you don't count his previous Excelsior novels, you could also consider this Martin's first ever TOS story. It was initially suggested this would published in June last year, so it's been a bit of a wait for anyone anticipating it. Little is known about this particular title so far, other than that it is also a TOS story. This again will see an author returning after a bit of a pause, with Pearson's last Star Trek tale to be found in the 2010 Myriad Universes anthology Shattered Light. This is a Quark story set on the new DS9, focusing on his efforts to obtain the latest version of the popular holosuite program, Vulcan Love Slave, in order to draw customers from his numerous competitors on the new station. This will be the first ever fiction title from the many-times Star Trek non-fiction writers Block and Erdmann - As a duo at least, Block does have one short story to her name in the first Strange New Worlds anthology. As detailed above, this will take us back to the wedding of Captain Picard and Doctor Crusher (which took place "off screen" before the novel Greater Than the Sum), with Q in attendance. This will be Josephs' third Star Trek tale, after his aforementioned Starfleet Academy novel The Edge, and a short story in the Mirror Universe anthology Shards and Shadows, before that. Bennett's third DTI tale, but the first at novella length, this story will focus on DTI's time travel technology storage facility, the Eridian Vault, and the 31st century temporal agent, Jena Noi. 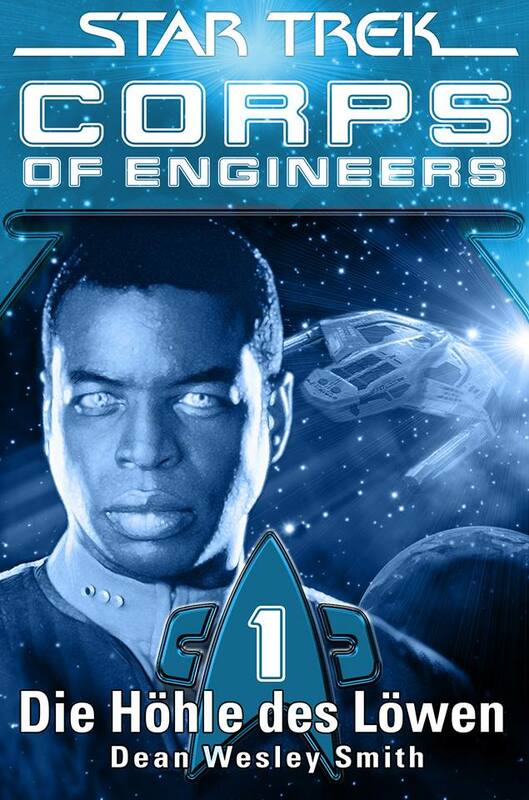 Set days after The Motion Picture this novella will focus on Kirk, Spock, and Sulu, following the events of the film. The release of this first Star Trek title from Harrison has been pushed back twice now, initially expected in December last year, it has most recently been moved to October next year! Thanks to Jens Deffner for pointing me towards a few more bibliographical entries for some of the authors discussed above.